I got it all ready Lily Monster. Good job for a rookie Edward. WOW, how exciting! I've never flown a kite. You're a natural, Edward! Beautiful. Mama says there were lots of kites around when she was a kid, but we've never seen one. That looks really exciting! 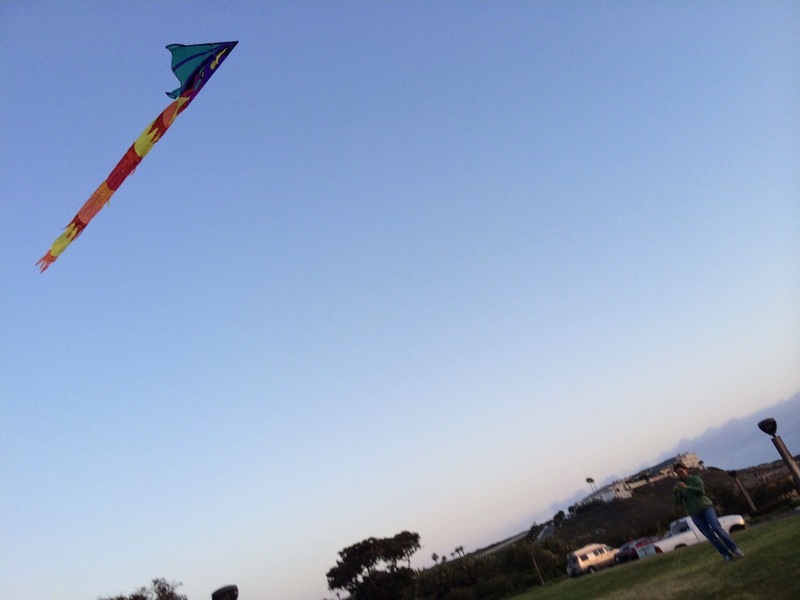 I have never flown a kite. Now we are sining 'let's go fly a kite' from Mary Poppins. Have fun and have a tremendous Thursday. OMD you got to FLY A KITE???? Look how HIGH it is... and SOOOOOO PRETTY. GOOD JOB!!! Wow..that looks like fun!! We are going to have to try to get our lazy Mama to get us one of those kite thingies! High Paws on gettin da kite to fly on your 1st try! Make sure your paws stay on the ground! Catch it.... oh no it's flying too high. That kite is huge and a little bit scary looking. You did it! Just like Ben Franklin! That looks way beyond fun! Maybe I should show my Momma this so she can see how fun it is and we can go fly a kite, too! That's a HUGE kite. We've never been able to get one off the ground. So well done to all of you. And have you ever thought about how fun to ride a kyte? Yiiippppeeee!!! OMD, that looks so fun guys!!! Edward, Lily sure is a good teacher...lookie at that kite go!!! Two paws up for being able to get the kite up and flying. We've never flown a kite either. It sure looks like fun! Now that looks like a BLAST! I wonder if I can jump high enough to catch it? Great job!! Mommy used to fly kites in the country when she was little and loved it.